Take a picture with your small group. Small groups are just about in full swing in most churches as we head into the fall season. As small groups get through their meet and greet session, it’s a good time to share that experience with others. 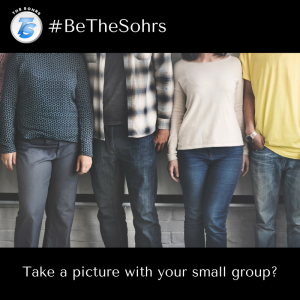 For some, that getting-to-know-you phase of small groups might be tough, but if we do what we do best and share our experience with the world around us, we can make it that much easier for someone else. How Do You Stop Complaining And Appreciate What You Have Today?